DUBAI/LONDON Top OPEC oil exporter Saudi Arabia has told the producer group it will not attend talks on Monday with non-OPEC producers to discuss limiting supply, OPEC sources said, as it wants to focus on having consensus within the organization first. "There is an official letter from (Saudi Arabia) saying (it is) not attending the meeting because the ministers should agree to the cut and then present the agreement to non-OPEC countries," an OPEC source said. "This will be more effective‎." 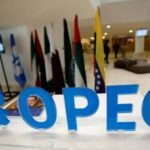 Monday's talks will be converted into another OPEC-only meeting, OPEC sources said, to try to resolve the group's internal differences before the ministerial gathering on Wednesday.